August 17 EDIT: Stanbic Africa has been granted an extension by Kenya’s CMA to acquire another 27.3 million shares and take their Stanbic Holding shareholding to 75% up through December 2019. July 23 EDIT : After the two rounds of tenders closed, Stanbic announced that they received acceptances which resulted in their Kenya shareholding increasing to 68%. The statement adds that they have applied to continue buying shares of the bank through the market to reach their 75% target i.e from other shareholders of the company through the Nairobi Securities Exchange. June 21 EDIT: Results of the first closing were announced and Stanbic received offers of 26.32 million shares out of the 23 million target and they will buy 23.56 million shares valued at Kshs 2.24 billion shillings – which will increase their shareholding to 65.96%. The second phase already commenced on 12 June, and those who participated in the first phase will begin to receive payments from 25 June. Participants who take part will forego the Kshs 4 per share dividend. 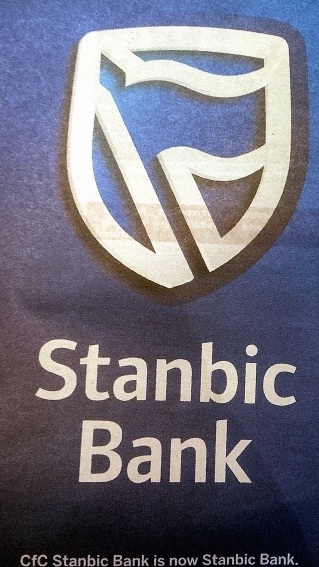 May 16 EDIT: Stanbic published a new notice in which the offer changed to a tender on a “willing-buyer, willing seller” basis with no element of compulsory acquisition. It will be in two phases which run from May 21, with the first closing to June 11 and the second on July 2. This will allow those who take it up the offer to be paid earlier – and that will be after the first closing date. Preference is given to the shareholders with less than 10,000 shares, and Stanbic shares now trade at 89-92 shillings. March 16 2018 Original: Stanbic Africa Holdings (Stanbic) – SAHL has tendered an offer to other shareholders of its Kenyan subsidiary who may be willing to sell their shares to the SAHL group at a premium as it seeks to increase its stake in Kenya’s 8th largest bank. SAHL, which owns 237 million shares representing 60% of Stanbic Kenya, is seeking to buy another 59 million shares, which will take its stake to 75% (296 million shares) as part of a commitment to grow its business in Africa. 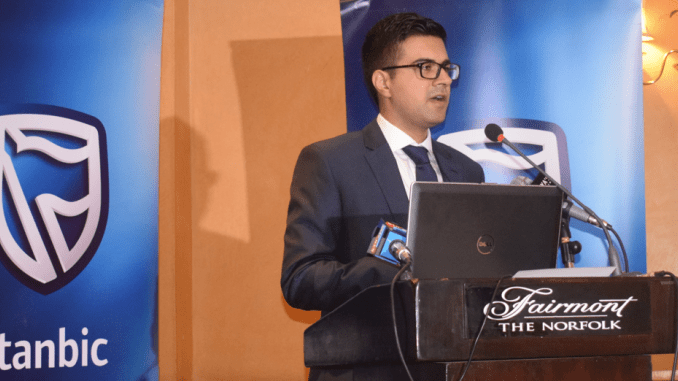 Stanbic Kenya is listed on the Nairobi Securities Exchange and SAHL has declared that the shares will remain listed after the deal and have applied for an exemption from being required to make a formal takeover. The bank shares were trading at Kshs 83 before the announcement, and SAHL is offering to buy no more than 59 million additional shares at Kshs 95 (~$0.94) a share. SAHL states that it will give preference to shareholders on the register date for up to a maximum of 10,000 shares in the offer, which runs to April 27. In 2016, Stanbic Kenya had 4,424 shareholders, 3,837 of whom owned less than 10,000 shares, and 1,838 of these had less than 500 shares. While SAHL states that it is not acting in concert with any other parties, it is entirely possible that the three largest shareholders behind SAHL in the Kenyan bank – two foreign firms and one local company who may own a combined 59 million shares may be targets of the offer. One of the shareholders has also recently divested from owning large stakes in other NSE-listed companies including Athi River Mining and Kenol-Kobil. SAHL established its banking presence in Kenya in 2007 by initially merging with the CFC Bank Group. Shareholders who take up the new offer to sell their shares will also forego a dividend of Kshs 4.00 per share declared this month when Stanbic reported bank profits of Kshs 5.6 billion along with assets of Kshs 239 billion, loans of 130 billion and deposits of Kshs 153 billion. This entry was posted in CFCStanbic, CMA Kenya, M&A, NSE investor awareness, Stanbic on March 16, 2018 by bankelele. Kenya’s economy is projected to grow by 5.6% from 4.7% last year, Stanbic Bank economists projected on Thursday. The Kenya macro economy was supported by improved performance in the agricultural and tourism sectors rippling down to the manufacturing and services sectors. Jibran Qureishi, Stanbic’s Regional East African economist explained the Stanbic Bank Kenya Purchasing Managers Index (PMI) served as a leading indicator as it vindicated itself over the quarterly GDP growth rate. He underlined the importance of the government’s focus on credit growth to the private sector, improved agricultural policies, the balance of payments and exchange rate. Recent ranking in the ease of doing business report, end of the political impasse, improved efficiencies in ports and expected increase in foreign direct investment (FDI) would hopefully promote the economy over the 6% year on year growth target which Kenya has only achieved five times since 1980. However, Kenya’s debt service costs which are mainly external and fiscal consolidation needs to be thought about more carefully for a better and consistent economic performance and Mr. Qureishi warned that the biggest downside risk to the growth outlook would be slower private sector credit growth and fiscal consolidation. He stated that the introduction of IFRS 9 (replacing the IASB 39) will make the credit growth drought recovery sluggish although the demand side for credit is improving and that the government also needs to develop a sound industrial policy which would have productivity gains rather than increasing expenditure on new infrastructure projects. Inflation likely to fall in H1.18 and thereafter edge higher as 2017 short rains have been good. Expected rebound in the agriculture sector. KES to be steady in H1.18. GDP growth likely to recover in the near to medium term. Here’s a recap of other recently-released economic forecast reports on Kenya. This entry was posted in CFCStanbic, Kenya economic growth, Stanbic and tagged forecasts, IFRS9 on January 19, 2018 by bankelele. Last week saw the release of financial results of SBG Securities (formerly CFC Stanbic Financial Services/CSFS). They are the first stockbroker (they are actually licensed as an Investment Bank) to release their 2016 results and this was done along with the release of the results of Stanbic Bank and their common parent – Stanbic Holdings. At SBG Securities, revenue dropped from Kshs 599 to Kshs 294 million. 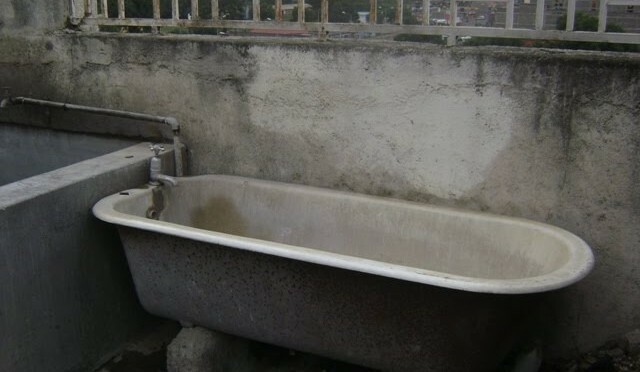 This was mainly due to stockbrokerage commissions which reduced from Kshs 399 to Kshs 223 million. Expenses were largely unchanged except for salaries that went down from Kshs 183 to 142 million. 2015, SBG was second in brokerage commission behind Kestrel Capital. A new year always starts on a high with each of us drafting our investment/ financial resolutions. As the year progresses, so do our plans and at times they don’t necessarily materialize. 2017 can be the year that you fulfill your investment resolutions by investing in shares listed on the Nairobi Securities Exchange. Whilst the market has hit an 8-year low, we believe this is the time to invest. This entry was posted in CFCStanbic, Investing in Kenya, Nairobi Stock Exchange, NSE stockbrokers and tagged stockbrokers on March 3, 2017 by bankelele. Stanbic: Eight years after the merger between Stanbic and CFC banks, which created CFC Stanbic, Stanbic has rebranded and removed the “CFC” name completely from the bank. The 2008 merger created the number 4 bank in Kenya, and today it is about number 7 in assets with 25 branches and listed on the Nairobi shares exchange. The Stanbic brand will now be common in the 20 countries across Africa. Bank M (of Tanzania) published a statement, denying they are the majority owners of the former Oriental Commercial Bank in Kenya – now known as M Oriental since June 2016. It states that MHL is a Kenyan entity that is promoted by some shareholders of Bank M, but that it does not have direct ownership. QNB: Qatar National Bank continues to run quarterly newspaper ads on its size in Kenya without being linked to any Kenyan bank. Today’s newspaper which touts them as the largest financial institution in the Middle East and Africa region, with September 2016 assets of $196 billion (up 37%) and profits of $2.7 billion (up 11%). This entry was posted in CFCStanbic, Oriental Bank, Qatar on October 17, 2016 by bankelele.